This lovely buttery pound cake is drizzled with sugary lemon juice once it’s out of the oven! It's made from scratch with fresh lemons, and contains no artificial flavour. 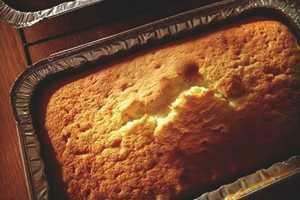 :) Baker’s Story: This was the recipe that started my obsession with lemony baked goods. It’s unbelievable how heavenly lemon tastes in cakes! Kamski and I went for a baking lesson together and fell in love with this recipe.